Vino, vin, wein, viini—call it what you will, but the language of wine is universal. From Spanish reds to French bubblies, there are endless options when it comes to selecting a bottle of fermented goodness, but how do you know whether you’ve made the right choice? Should pairing rules of the past dictate when and what you drink, or is it okay to throw caution to the wind? 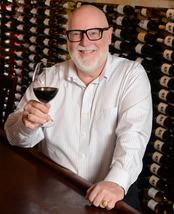 You’ve got questions and Style’s wine experts have the ultimate collection of tips, tricks and industry insights, so pull up a barstool and raise a glass to our favorite local tastemakers. Moffat discovered that fresh popcorn with melted black truffle butter pairs surprising well with California Chardonnay. Q: What is your favorite local wine and winery? A: I was a victim of poor judgment many years ago when I named a local wine as my favorite. I won’t make that mistake again, but I will say that Mt. Vernon Winery has always been a top performer, and I’m a big fan of Lone Buffalo Vineyards, Casque Wines, and Naggiar Vineyards and Winery. Q: What makes for an outstanding wine list? A: Diversity, accessibility and affordability are three essentials. Q: What’s the biggest mistake people make when ordering wine? A: They don’t ask for a taste before making a decision. If you’re not familiar with the list and wine is served by the glass, just ask: Most restaurants will happily provide a one-ounce sample. Also, many people are afraid to ask questions. My advice is don’t be, and you’ll be pointed to a great bottle of wine. Q: What’s your favorite classic and atypical food/wine pairing? A: I’m a huge fan of Pinot Noir, and it pairs beautifully with duck dishes. At Carpe Vino, try the fresh popcorn with melted black truffle butter paired with a California Chardonnay. It’s killer. Q: What are three of your best wine tips? Life is short—don’t settle for cheap wine, especially when you dine out. Avoid wine ruts. I hate it when people order the same wine over and over. Q: Which wine regions do you think are underrated? Are there any up-and-coming regions you would recommend? A: In California, Paso Robles, Lake County and the Sierra foothills are making huge strides. In Washington, the Columbia River Valley and Walla Walla are sleepers. I’m also a big fan of wines from Spain and South Africa. Q: What are your favorite new trends in wine? A: Mechanical closures replacing corks, fabulous value wines from Spain, and seeing so many new faces in my wine shop and restaurant. A: My favorite local wine is the Sobon Estate 2011 Zinfandel from Fiddletown—a complex wine with aromas of spices and a toasty, dusty cherry component with a long finish—and my favorite winery is Naggiar Vineyards, located in the Sierra foothills, between Auburn and Grass Valley. A: Most people order wines before considering what food they’ll be enjoying it with, or they get into the habit of ordering the same wine, which takes away all the fun and adventure of trying and exploring new wines. A: Classic: fresh oysters with Schramberg Blanc de Blancs; atypical: rib eye steak with Darioush Cabernet Sauvignon. Attend as many tastings as you can; taste and learn, but always remember to spit. Don’t fill your cellar with wines you like at the moment—I guarantee your palate will change and you will end up with a cellar full of wines that you won’t feel like drinking. Don’t fall into the trap of exclusively seeking out highly rated or expensive wines. Instead, drink widely and build up a context from which to then fully appreciate the more stellar wines. Q: Do you have any favorite wine gadgets? A: At High Steaks, we have a wine basket to carry decanted wines without disturbing the sediments, particularly in older vintages. Also, the Vinturi wine aerator is a great tool to help open up younger wines. A: Personalization of wine. If celebrities can put their name and faces on a wine bottle, why can’t we? Personalwine.com just launched a new website that allows wine lovers to pick blank bottles and design their own label. The macro trend of personalizing everything in our lives just got more interesting! A: Gardner: I would have to say Boeger Winery, located in the Sierra foothills east of Sacramento. The grape varietals that Boeger produces are perfect for the soil conditions and climate of the area. Boeger is still small enough to allow full attention to detail and their wine shows it. They produce a great Barbera, Sangiovese reserve, Syrah and many other wines; what’s more, it’s family owned and operated with a passion for making great wine that’s consistent year after year. It is definitely a destination to have in mind when heading up that way. A: Des Jardins: The biggest mistake is ordering what someone else tells you to drink instead of what you want to drink. A: Des Jardins: For reds, any lamb dish with either a Tour de l’Isle Cotes du Rhone, Chateauneuf du Pape or a Pinot Noir; for whites, scallops with Tour de l’Isle Cotes du Rhone Blanc or ZD Chardonnay. A: Des Jardins: Yes, I love collecting wine keys (wine openers) that are unique. My favorite is one that has two levers—one shorter to start pulling the cork without torqueing it too much, and a longer one to finish the job. Don’t always decant—you miss watching the wine change as you are having a relaxed dining experience. Respect your wines and the temperature at which they’re served. Truly focus on what you like and let any advice (including this advice) be helpful, or not, as the case may be. Q: What’s a good go-to wine to take to a dinner party? A: Des Jardins: It’s always safe to take a Cotes du Rhone white, Cotes du Rhone red or a bottle of French rosé. A: Des Jardins: California is blending—using two or more of the five noble grapes more and more—as time goes on.